Are you planning to organize a Halloween party in your home and you are looking for some interesting ideas? 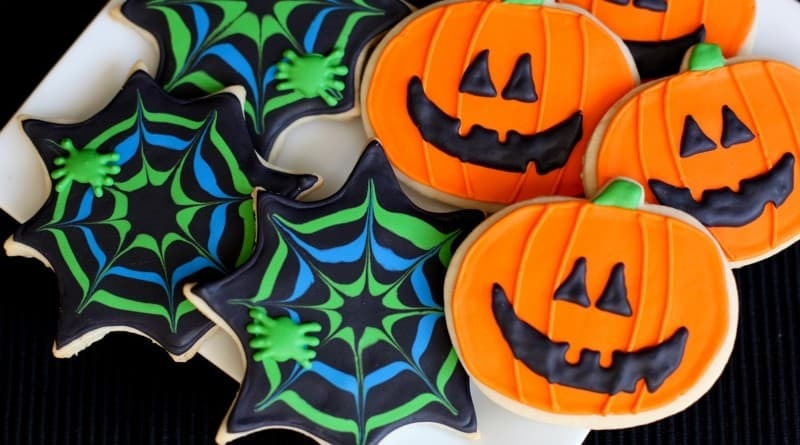 We found 3 really great Halloween cookies recipes which are healthy and easy to prepare in the same time. 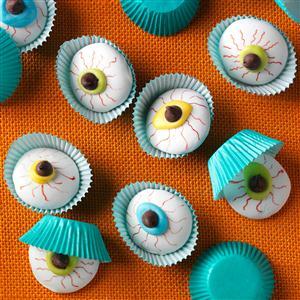 We are sure that these healthy Halloween cookies recipes will make your party unique and fabulous. Place egg whites in a small bowl; let stand at room temperature for 30 minutes. Add extracts and vinegar; beat on medium speed until soft peaks form. Gradually beat in sugar, 1 tablespoon at a time, on high until stiff glossy peaks form and sugar is dissolved, about 6 minutes. Beat in food coloring if desired. Cut a small hole in the corner of a pastry or plastic bag; insert a #10 round pastry tip. Fill bag with egg white mixture. 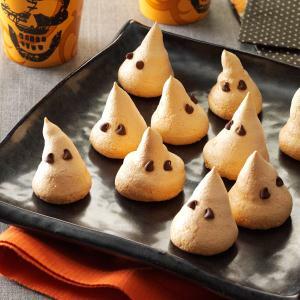 Pipe 1-1/2-in.-diameter ghosts onto parchment paper-lined baking sheets. Add two chips on each for eyes. Bake at 250° for 40-45 minutes or until set and dry. Turn oven off; leave cookies in oven for 1 hour. Carefully remove from parchment paper. Store in an airtight container. Yield: 2-1/2 dozen. In a microwave, melt 4 ounces of white chocolate; stir until smooth. Dip vanilla wafers in melted chocolate; allow excess to drip off. Place on a waxed paper-lined baking sheet. Chill until set. Melt remaining white chocolate; stir until smooth. Tint as desired. Spread a small amount onto the center of each cookie; place a chocolate chip in the center. For bloodshot eyes, use a toothpick dipped in red food coloring to draw lines from circles to outer edges of wafers. Chill until set. Store in an airtight container. Yield: 20-25 servings. Wash strawberries and gently pat with paper towels until completely dry. In a microwave-safe bowl, melt white chocolate and shortening at 50% power; stir until smooth. Stir in extract. Dip strawberries in chocolate mixture; place on a waxed paper-lined baking sheet, allowing excess chocolate to form the ghosts’ tails. Immediately press chocolate chips into coating for eyes. Freeze 5 minutes. In microwave, melt remaining chocolate chips; stir until smooth. 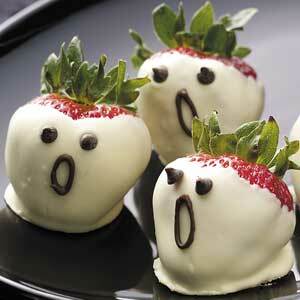 Dip a toothpick into melted chocolate and draw a mouth on each ghost. Refrigerate leftovers. Yield: 2-1/2 dozen. 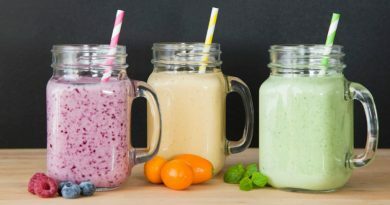 Which ones will you be making? Or you have an idea of your won? 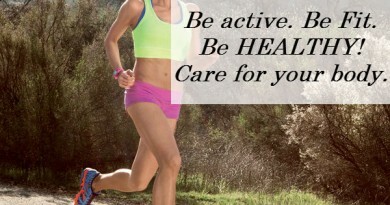 Share it with us in the comments bellow! ← Has technology changed love?